Deodorant concentrate is a liquid neutralizer for chemical and malodors. 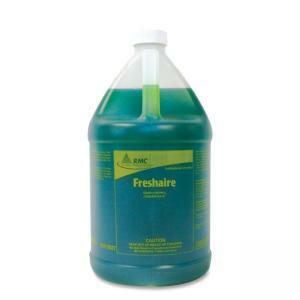 Use water soluble detergents such as floor cleaners, carpet shampoos and general purpose cleaners or degreasers. Neutralize objectionable odors in schools, public buildings, restrooms, hospitals, institutions, nursing homes and more. Dilution ratio for room deodorizer is 16 oz. to 1 gallon of water. For general purpose detergents, mix 2 oz. per 1 gallon of detergent solution. For carpet deodorizer, mix 1.5 oz. per 1 gallon of carpet cleaning solution.